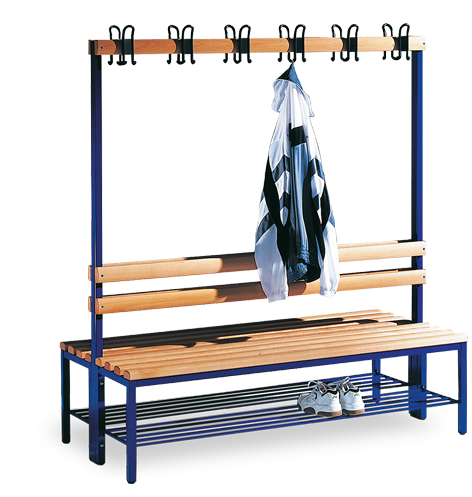 The furniture for locker and wardrobe areas has to be extremely versatile: Single or double tier compartments, Z-combination lockers, lockers with large or small compartments, matching bench solutions, ancillary storage space – and last but not least there is the issue of the right fittings and accessories. No matter what the requirements, the CLASSIC locker range can adapt to them. The areas of application where the Classic can be put to good use are virtually limitless: Industry, workshops, gyms, wellness, retail or business: Classic guarantees tidiness and security and offers unique value for money. 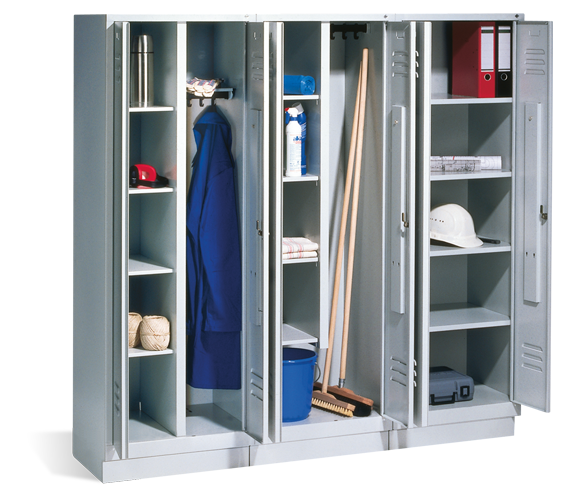 The laundry locker, cleaning equipment cupboards and storage cupboard match perfectly. Made of sturdy rectangular tube, with comfort hooks and optional shoe rack. 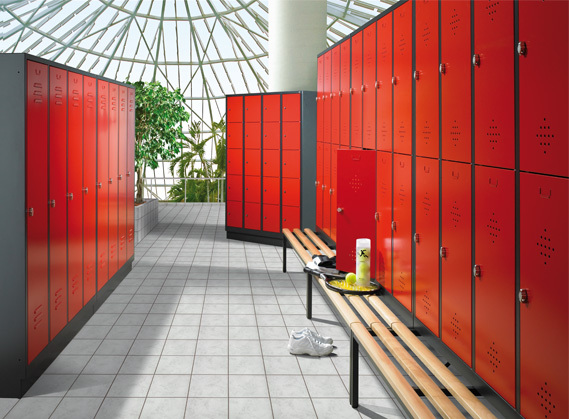 Classic assembled box lockers are available in three different compartment heights and two different compartment widths.